Dairy cow close up (photo credit: ILRI/Stevie Mann). East Coast fever (ECF) is widely regarded as the most serious animal health constraint to increasing the productivity of cattle in eastern, southern and central Africa. For four decades, the Nairobi-based International Livestock Research Institute (ILRI) and its predecessor, the International Laboratory for Research on Animal Diseases (ILRAD), have conducted research on East Coast fever. The work has focused on developing better methods of controlling the disease, principally through vaccination, and better understanding the impact of the disease. What follows is a brief history of the development of an ‘infection-and-treatment method’ (ITM) of vaccination against this disease, and the roles of ILRI and its funding agencies in this, and our research on the potential uptake of the vaccine. East Coast fever is a devastating tick-borne disease of cattle caused by the protozoan parasite, Theileria parva. The disease causes high mortality (greater than 80%) in susceptible cattle populations, with the more productive European and improved zebu breeds being particularly susceptible. East Coast fever occurs in 11 countries in eastern, southern and central Africa where the tick vector, Rhipicephalus appendiculatus, is found. The parasite infects the bovine lymphocytes, causing a profound lymphoproliferation. East Coast fever causes major economic losses throughout the region and affects both high-grade dairy cattle and young zebu cattle in pastoralist systems and ranches. The infection-and-treatment immunization procedure employs well-characterized live sporozoite forms of theilerial parasites administered to cattle simultaneously with a long-acting formulation of the antibiotic oxytetracycline. Without the antibiotic treatment, the sporozoite inoculation would be lethal, but the oxytetracycline suppresses the infection, by a largely unknown mechanism, and the result is an asymptomatic or mild episode of East Coast fever followed by the animal’s life-long immunity to the disease. This infection-and-treatment immunization method was initially developed and refined at the former East African Veterinary Research Organisation (EAVRO), at Muguga, Kenya, between 1967 and 1977. This institute, now known as the Veterinary Research Centre, is today part of the Kenya Agricultural Research Institute (KARI). Work on this immunization method was undertaken as part of a regional project funded by the United Nations Development Programme (UNDP) and executed by the Food and Agriculture Organization of the United Nations (FAO). In addition to ILRI’s predecessor in Nairobi, ILRAD, the regional project established collaborations with the Australian Volunteer Services, Canada’s International Development Research Centre (IDRC), the International Centre of Insect Physiology and Ecology (icipe), the International Atomic Energy Agency (IAEA), the Nuffield Institute of Comparative Medicine, Pfizer International Incorporated, the Rockefeller Foundation, the UK’s Ministry of Overseas Development (now the Department for International Development [DFID]) and the US Department of Agriculture (USDA). In addition, cooperative activities were also established with the national veterinary services of Kenya, Tanzania and Uganda and international links with university departments and veterinary services in Europe. Demonstration that ground-up homogenates of parasite-infected ticks could infect cattle in a reproducible manner and that the homogenates could be stored in liquid nitrogen and still retain their infectivity. Development and use of a long-acting version of the antibiotic oxytetracycline, which required only a single administration of the antibiotic. Observation that a combination of theilerial parasite strains in the vaccine gave much broader protection against field strains livestock would encounter than vaccines containing single strains. Various versions of the infection-and-treatment immunization vaccine have been developed, each differing in the strains of theilerial parasites used in the vaccine. The most widely used version is known as the ‘Muguga cocktail’. ILRI produced the first commercial batch of the Muguga cocktail vaccine in the mid-1990s, at the request of FAO. A decade later, this time at the request from regional stakeholders convened under the auspices of the African Union-Interafrican Bureau for Animal Resources (AU-IBAR), ILRI produced a second batch, which is now being used in eastern Africa. To date, over one million cattle have been immunized with the ILRI-produced vaccine. With assistance from GALVmed, a not-for-profit global alliance that provides livestock treatments in developing countries, ILRI has registered the vaccine in Kenya, Malawi and Tanzania. In Kenya, ILRI and KARI supported Kenya’s Director of Veterinary Services (DVS) in his department’s trials that have confirmed the safety and effectiveness of the Muguga cocktail-based vaccine, which was launched for national distribution in Kenya in December 2012. Production of the live East Coast fever vaccine is complicated, time-consuming and expensive. To produce one million doses of vaccine requires 130 cattle that have not previously been exposed to the disease, 500 rabbits and at least 600,000 ticks. The entire process of making the batch takes up to 18 months. The product then requires a cold chain and careful handling to deliver it and have it administered by trained veterinarians on farms and ranches. The commercial production of the Muguga cocktail has now been taken up by the Centre for Ticks and Tick-borne Diseases (CTTBD), in Malawi, facilitated by GALVmed and the Bill and Melinda Gates Foundation (BMGF). ILRI helped establish the vaccine production processes in Malawi through the transfer of tick and parasite seed stabilates. GALVmed is promoting commercial distribution of the vaccine and ILRI continues to provide technical backstopping support. 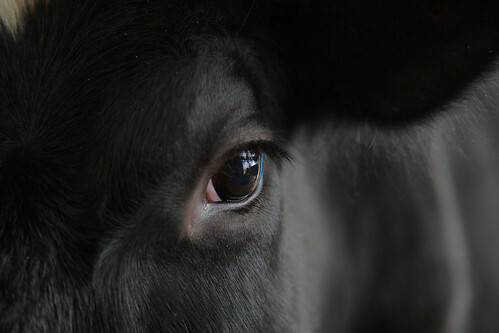 Other strains have also been used in field vaccination of cattle. KARI undertook commercialization in Kenya of an alternative version based on the Marikebuni isolate of the parasite. The vaccine was sold under the trade name of ECFiM. In southern Africa, where the diversity of parasite strains is thought not to be as great as in eastern Africa, single local isolates have been used in the vaccine. In Zimbabwe, funds from Belgium and the Danish International Development Agency (Danida) allowed production and use of locally isolated parasite stocks throughout the country. In Zambia, with support from Belgium, two stocks were identified that have formed the basis of that country’s vaccination program. Early investment from the International Fund for Agricultural Development (IFAD) (1999–2003) of nearly USD700,000 helped ILRI at that time to recognize and develop the opportunity to promote wider uptake of the live vaccine. This IFAD funding, which helped ILRI address constraints to taking a regional approach to commercializing the vaccine, came at an opportune time. Scientists had previously thought that only commercial dairy farmers would adopt the vaccine, restricting the potential market considerably. But a veterinarian operating in Tanzania, Lieve Lynen, demonstrated that the disease had even a greater impact on pastoral communities than on commercial farmers and that relatively poor Tanzanian pastoralists were willing to pay a relatively high price for the vaccine. This new understanding expanded the potential market for the vaccine dramatically. Lynen’s veterinary company, VetAgro (Tanzania) Ltd., made another important discovery. Previously, the vaccination method used a 20% formulation of oxytetracycline, which resulted in severe cases of the disease developing in about 5–10% of the vaccinated animals. These untoward cases discouraged veterinarians and farmers from adopting the vaccine. Lynen’s group found that increasing the antibiotic dose to 30% virtually eliminated the incidence of post-vaccination cases. Around the same time, with financial and technical support from ODA (now DFID), KARI demonstrated that the infection-and-treatment immunization method could be used safely in all dairy areas in Kenya. Furthermore, KARI had produced the first commercial batch of the ECFiM stabilate, thus demonstrating the commercial viability of this immunization method. Similar studies were conducted in Uganda with support from Danida. The funds also supported establishment of a vaccine production centre in Malawi to produce vaccine stabilates for the whole region. Thus, by the time ILRI received funding from IFAD, most of the technical hurdles to delivering the live vaccine had been overcome. The IFAD-funded project initially focused on defining the desired profile that would optimize uptake of a new-generation ‘subunit’ vaccine (based on parasite components rather than whole, live parasites). If achieved, this vaccine would greatly reduce the cost and difficulty of delivering an East Coast fever vaccine to farmers, since it would be easier to produce than the ITM vaccine and furthermore would require no refrigeration to deliver it to farmers, many of who live in remote areas. Although development of such a subunit vaccine remains a scientific challenge, the IFAD-funded project contributed a better understanding of the epidemiological and socio-economic factors that influence the disease and its control. At the same time, the IFAD-funded project led to greater awareness at ILRI of the potential role for the live vaccine if given appropriate support. ILRI characterized both the obstacles to and the potential benefits from wide dissemination of ITM immunization. Building on this, ILRI developed the first consensus that a regional effort could be envisaged and developed as a major public-private partnership project. Having identified the policy constraints to ITM, ILRI scientists were eager to work with the private sector to commercialize the production and distribution of the vaccine. ILRI also outlined the basic elements of a strategy to facilitate access to ITM by smallholder livestock owners, one that is now being pursued by GALVmed. After this foundation was laid through IFAD funds, AU-IBAR, GALVmed and FAO worked with ILRI to implement the key recommendations—registration of the vaccine, regional approach (trials in Kenya to allow the Muguga cocktail in Kenya) and guaranteed supply of the stabilates. 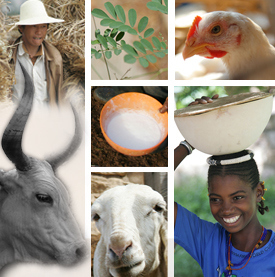 ILRI has made and continues to make significant contributions to this work, serving as a source of technical expertise, knowledge and specialist facilities and resources. Efforts to register the vaccine in Uganda are on-going, a new vaccine batch is being produced in Malawi and four distributors in Kenya, two in Uganda and two in Tanzania are delivering the vaccine in those countries. Adoption of the infection-and-treatment vaccine is reported to provide many benefits to Africa’s smallholders and pastoralists. Calf mortality rates have been reduced dramatically: in northern Tanzania, mortality rates in pastoralist areas have been reduced from 80% to as low as 2%. The pastoralists also report that cattle with the distinctive round ear-tags denoting that they have been immunized against East Coast fever attract higher prices than non-vaccinated animals of equal size. Off-take rates have risen and vaccinated animals no longer have to avoid areas for fear of their contracting East Coast fever. And the pastoral herders are using their increased incomes to diversify their livelihoods and send more children, including girls, to school. Research efforts have also been directed by ILRI towards obtaining a better understanding of the biology of the disease and unraveling the mechanisms by which cattle become immune to it, and in developing molecular tools to characterize parasite strains, which will be important in ensuring the quality of future vaccine productions. Financial support for this other work conducted for more four decades has been provided by many donor organizations, including BMGF, the Biotechnology and Biological Sciences Research Council (BBSRC) of the UK, Danida, FAO, the Netherlands Government, ODA/DFID and the Wellcome Trust, amongst others. For more information, see East Coast fever and related tick-borne diseases, Animal Production and Health Paper, Vol 19, by UNDP and FAO regional project staff, published by FAO, 1980. The ILRI/GALVMed workshop, ‘Distribution, Delivery and Improvement of the Infection-and-Treatment Method Vaccine for East Coast Fever’, is supported by the CGIAR Research Program on Livestock and Fish. On the first day of the workshop, participants reviewed experiences with the production, supply, registration and delivery of the vaccine. Day two focuses on the emerging research agenda – what is needed to improve the product and the processes to develop and deliver it. Tags: AU-IBAR, Australian Volunteer Services, BBSRC, BMGF, CTTBD, Danida, DFID, DVS (Kenya), EAVRO, FAO, GALVmed, IAEA, icipe, IDRC, IFAD, ILRAD, KARI, Lieve Lynen, Ministry of Overseas Development (UK), Nuffield Institute of Comparative Medicine, ODA, Pfizer Int Inc, Rockefeller Foundation, UNDP, USDA, Vet Agro (Tanzania) Ltd, Veterinary Research Centre (Kenya), Wellcome Trust. Bookmark the permalink. I commend all the players involved in developing the vaccine. small scale farmers in kieni , nyeri county, are in dire need of the the vaccine to enable them move a step further in improving their breeds and thus promote dairy farming in the region. where can the vaccine be sourced ? kindly advise. Jambo. Thanks for your comments on the ECF vaccine. The vaccine should be available from distributors authorized by the Government of Kenya (e.g., SIDAI, Vet Aid and TEGEA) and through the business hubs of the Kenya Dairy Farmers Federation. Good luck with your efforts. Let me know the cost per animal.Am calling from Kampala,Uganda.